The international conference on working memory was held in Cambridge on 9th-11th July 2014, hosted by the Medical Research Council Cognition and Brain Sciences Unit. 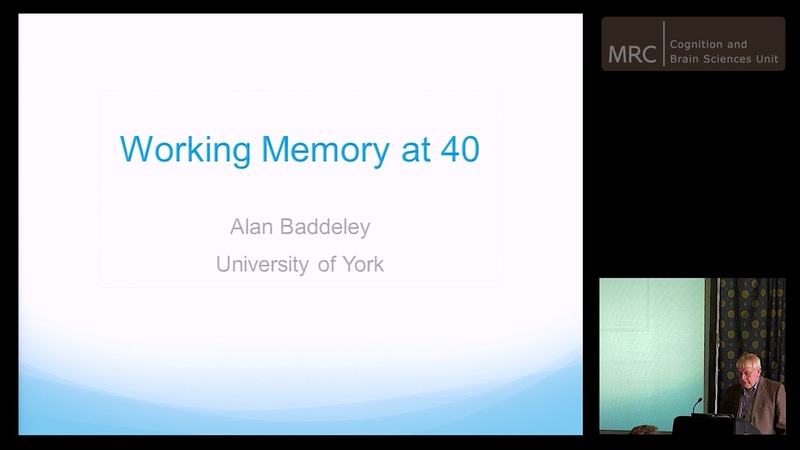 This conference was held in celebration of the exceptional contributions of Alan Baddeley and Graham Hitch, on the 40th anniversary of the publication of their model of working memory in 1974. The conference covered the full range of theoretical and empirical approaches to the understanding and study of working memory. Videos and photos of the event can be found below. The programme to accompany the videos can be downloaded here.